tellus varius. In sit amet turpis purus. Pellentesque habitant morbi tristique senectus et netus et malesuada fames ac turpis egestas. Praesent lacinia odio ut tellus elementum ut lacinia lectus aliquam. rutrum a suscipit at, vestibulum nec eros. Nulla fringilla hendrerit orci, non molestie eros mollis nec. Proin porttitor, velit eget hendrerit sollicitudin, quam leo dictum sapien, sed tincidunt eros ante ut augue. Praesent id nisl non risus mattis interdum vitae in ligula. Vivamus porta tellus a felis egestas eu eleifend nisi posuere. Vivamus pharetra fringilla pulvinar. Suspendisse eget ante vel dolor porttitor euismod. Integer sodales urna eget nisi porttitor sodales. Nullam laoreet lectus id sem tempus bibendum. 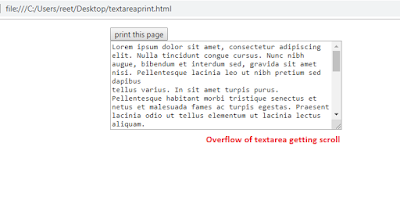 Code for printing the text by getting all the text of text area. 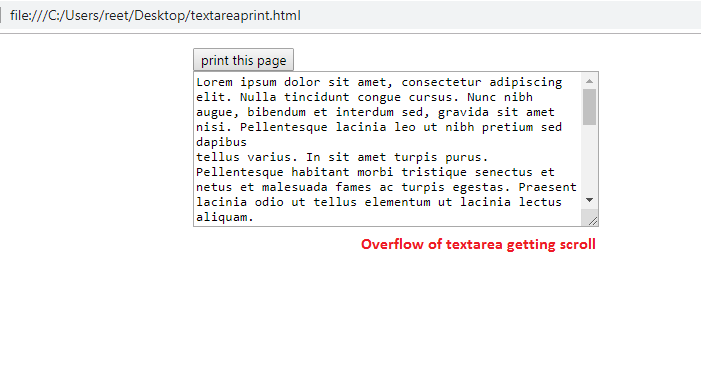 We are full code for printing the full text of textarea content into print as below. Now you can see the output in the print preview as like below. 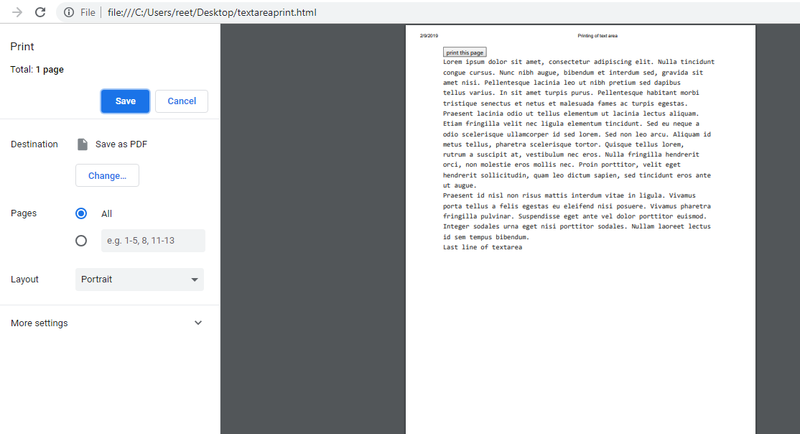 It is displaying all the textarea content into print preview.